On Saturday during our weekly trip to the Farmer’s Market I picked up some very ripe bananas with baking muffins in mind. When I went to pay for the bananas (and other finds) the clerk had overheard me telling my husband that I was going to bake muffins this week and asked if I had ever baked with buckwheat flour, to which I replied, I had not. He said that whenever he bakes he likes to add buckwheat flour to ensure that what he’s making has at least some nutritional value. I, too, like to try to make my muffins as healthy as possible so I gladly took his advice and bought a container of the flour. I had heard of buckwheat flour before but I didn’t know anything about it, so of course, I Googled it when I got home. Wow, this stuff is good for you. I mean, really good. And it is wheat free (despite its name) and gluten free. It’s packed with fibre, low in fat, full of protein and is rich in iron, potassium, calcium, phosphorus, zinc, selenium, manganese and magnesium. It also contains antioxidants. You can read more about buckwheat here. In my research I discovered that because buckwheat is gluten-free it lacks the binding properties of other flours, so it is advisable to use guar or xanthan gum (super expensive!) or mix it with another type of flour. I chose to mix it with whole wheat flour for my banana muffins. 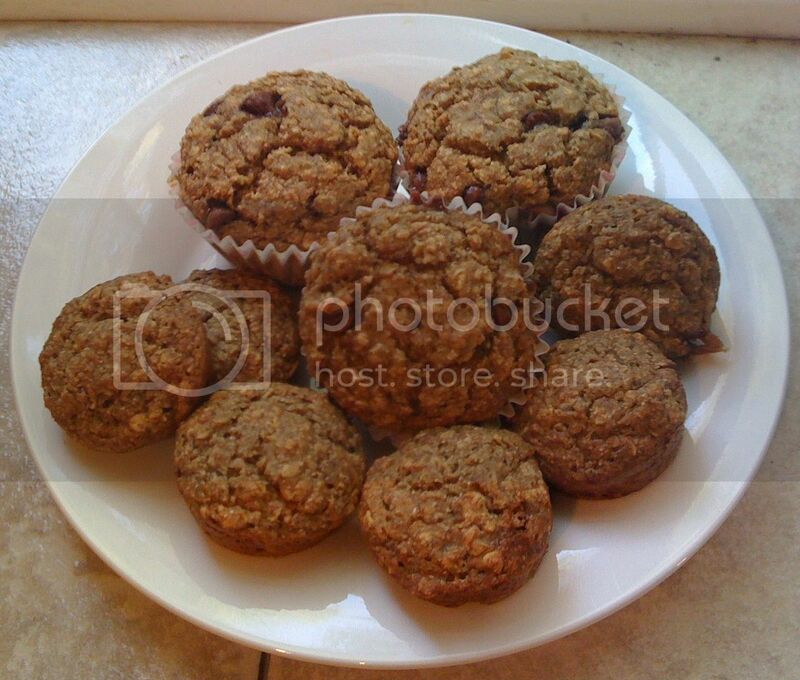 I found a recipe for Banana Oat Buckwheat muffins that sounded good and got started on Sunday morning. I modified the recipe a bit and doubled it (using half buckwheat flour, half whole wheat flour). In place of the vegetable oil I used unsweetened organic apple sauce. I do this often when I bake with great results. The recipe also called for 1 cup of mashed bananas, but I had 6 bananas so I mashed them and used all of them. It was probably more than 2 cups, but I find the more bananas you use, the moister your muffins turn out. I first baked a dozen mini muffins with my toddler, Oliver, in mind, and then I baked a dozen regular sized muffins with chocolate chips with myself, teen and husband in mind! There was enough batter left over for another dozen minis, so little O will also get to sample minis with chocolate chips too. Combine the flours, oats, sugar, baking soda, and salt in a bowl. In a separate bowl, lightly beat the egg. Stir in the milk, apple sauce, and vanilla. Add the mashed banana and combine thoroughly. 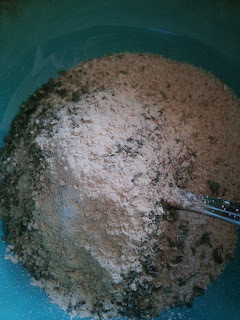 Stir the flour mixture into the wet mixture until just combined. 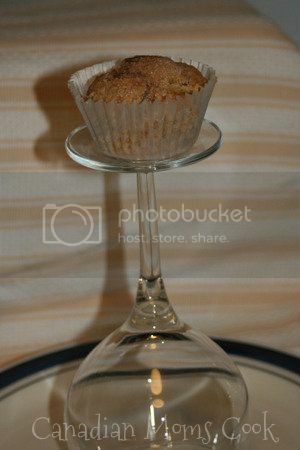 Line a muffin tin with paper baking cups and spoon the batter into them. Bake at 375 °F for 16 to 18 minutes (depending on your oven, of course). The result: Fantastic! They are moist and delicious. Hubs tried one of the plain minis and said they were perfect. I sampled a regular sized muffin with chocolate chips and it was yummy. I will definitely make these again! Jennifer is a married mom of two sons born 15 years apart (yes, you read that right!) living in Hamilton, Ontario. A lover of cupcakes, reading good (and not-so-good) books and all things food, she also spends her days working in the marketing department for a well-known franchise restaurant corporation. Jennifer loves to cook, is a firm believer in the importance of meal planning and likes to try at least two or three new recipes a week. Jennifer is also a member of the National Posts’ Gastropost weekend feature section where you can read about her completed food “missions”. You can also follow her on Twitter @pennesthoughts or on her blog at A Penne For Your Thoughts. I love home made Patty Melts, you get to control exactly what's in it and make it how you like it! 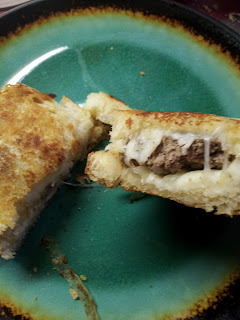 I actually haven't made Patty Melt's for awhile, I think of it as more of a fall or winter food, but saw a post about them on The Pioneer Woman that is crazy similar to how I make them! 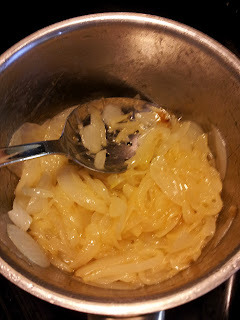 I start with slicing up the onion, adding them and some butter to a small sauce pan, cook them on low until caramelized. Unlike making a burger with filler like bread crumbs and eggs, for patties I just use ground beef, salt and pepper and some Worcestershire sauce. 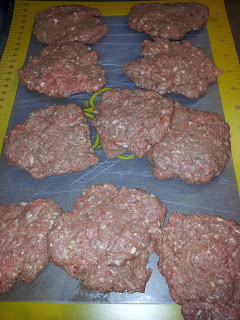 Mix then form into patties, I make them as thin as I can. 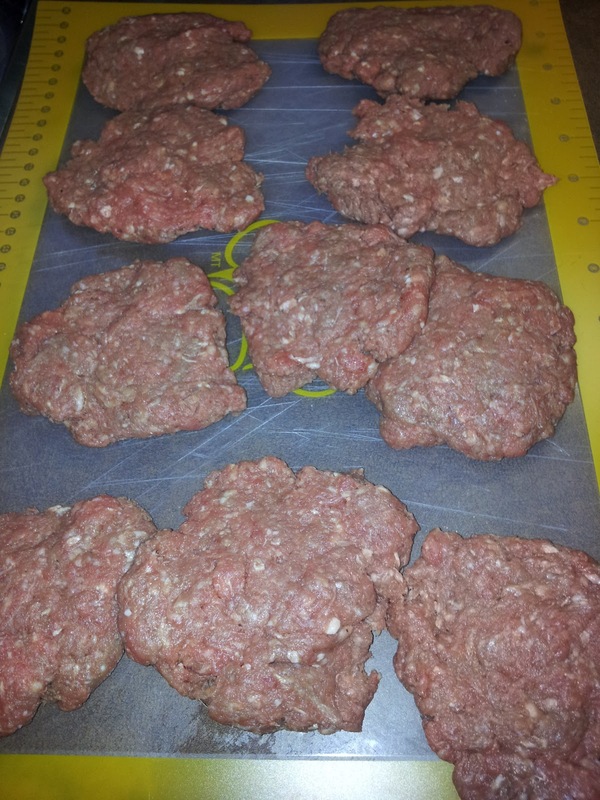 Fry up the patties until cooked through. 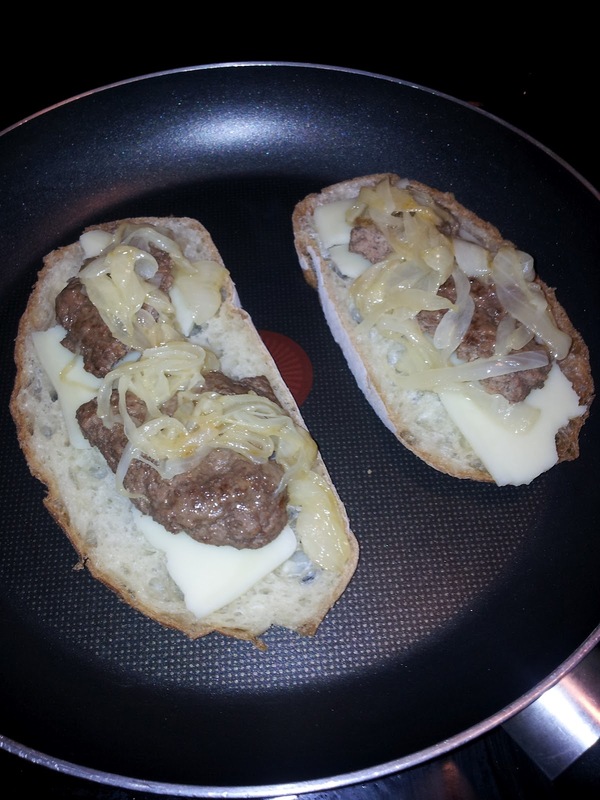 Make your sandwich by buttering the outside of your bread slice, put a piece of cheese, then a patty, then onions, another piece of cheese and another slice of bread buttered on the outside. Everyone loves this, including the kiddos (I don't include the onion on theirs). The norm is to use swiss cheese in a patty melt but we like the mozzarella better, same with liking sour dough and white bread over the rye. Delish!!!! As promised, here is the other bread recipe I have under my belt, didn't find this one online though, this comes from my Mother-in-law. Dissolve yeast in 1/2 cup warm water - let it sit about 5 minutes and you will see it start to bubble up. Mix this together until the shortening melts, add the yeast mixture and then add approx. 3 1/2 cups of flour. Keep adding flour until it becomes the consistency of a ball that you can knead, it will be about another cup or so. 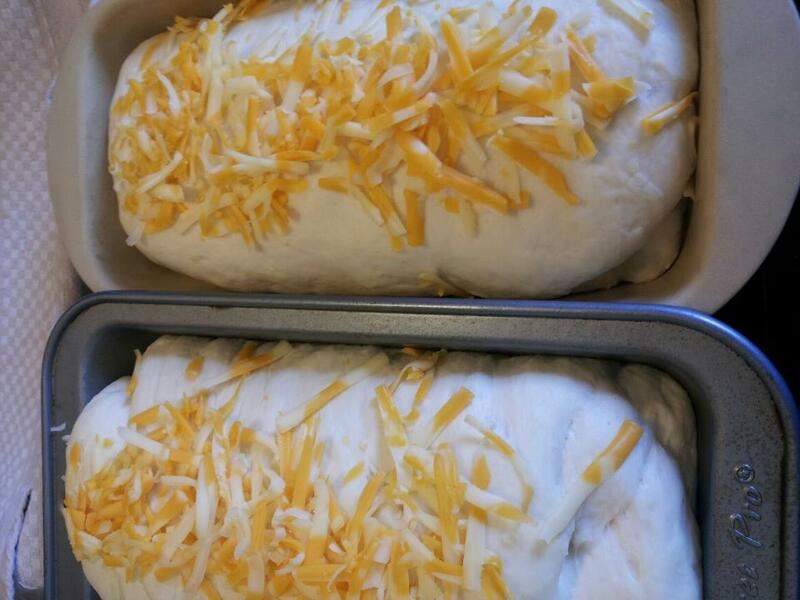 Put about 1 cup of flour on the counter and knead the dough until it is like elastic, it will spring back. It will take about 5 minutes, turning the dough a quarter turn every time. Place the dough in an oiled bowl and cover with a cloth. Place in a warm spot and let it rise for 1 hour - at this time it should be about double the original size. After 1 hour take it out of the bowl and divide it into two pieces. Flatten them out and then roll it into a bread shape. 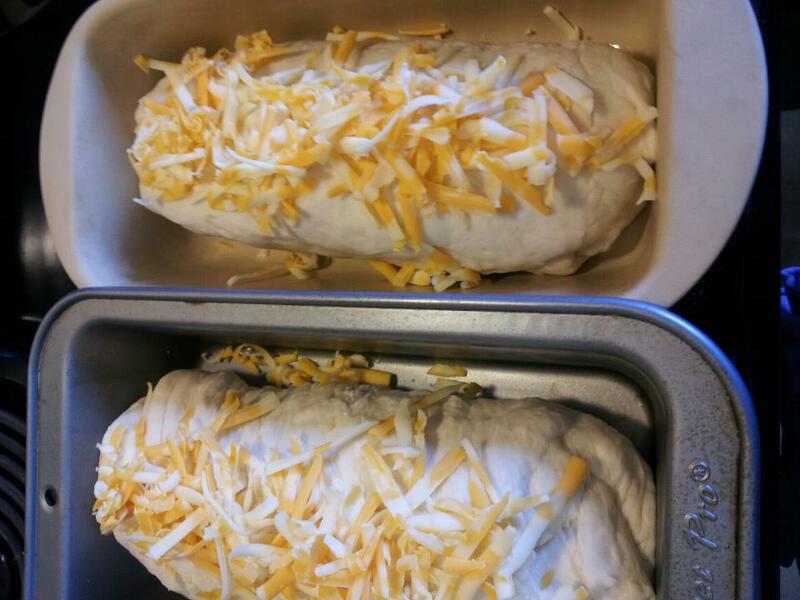 Place it in a greased bread pan and again cover and let them rise in a warm place for about 1 hour. Preheat the oven to 425 and bake the loaves for about 25 minutes. 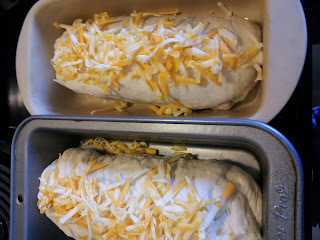 When you flatten the dough to put it in the pans you can add cheese, or cinnamon and sugar and roll the dough up and let it rise. Add additional cheese or cinnamon and sugar on top. You can also spread a bit of honey on the top of the plain white bread and it gives it a nice sweetness. 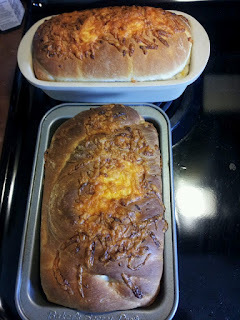 While not as quick as the No-Knead Bread I mentioned before, this has a different texture, the fun swirl in the middle if you roll cheese into it, a good sandwhich shape as you make it in the loaf pan and makes really good toast too. The Sugar Bowl is a restaurant in Edmonton Alberta, they have been featured in newspapers, radio and tv shows for their very famous cinnamon buns. 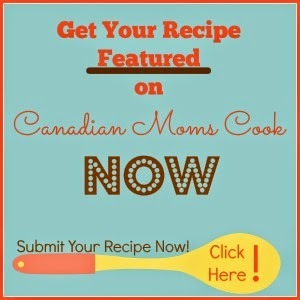 CBC.ca posted their recipe online and I decided to give it a go. Found on CBC.ca, I also watched their tv spot on YouTube. I followed the directions as exactly as I could. We did make a quick vanilla icing to try with it, I think no sauce is necessary though or a cream cheese one would be best. Amazing!! 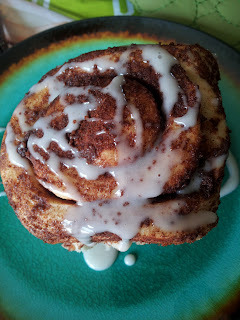 The brown sugar and being coated on the outside really make these buns something new and really delicious. 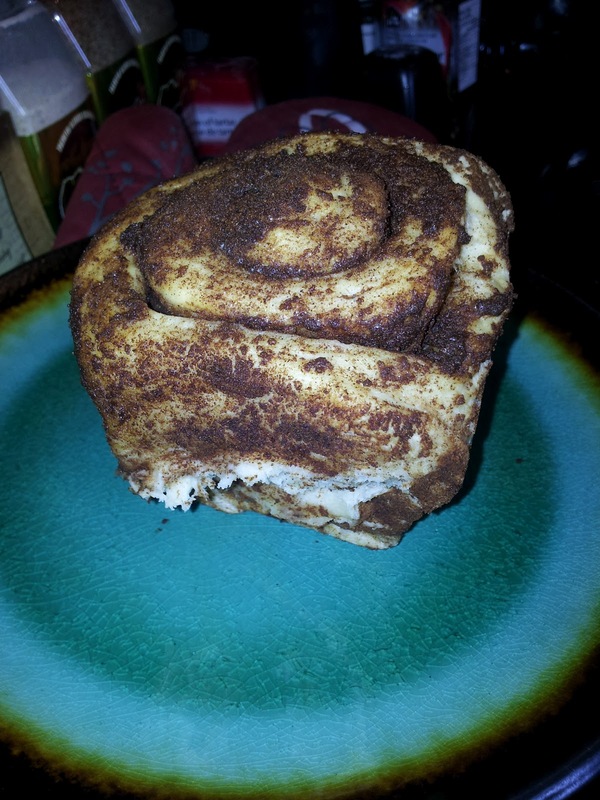 The dough has that pully texture you expect from a cinnamon bun, they are perfect for sharing and even tasted great the next day heated up in the microwave. 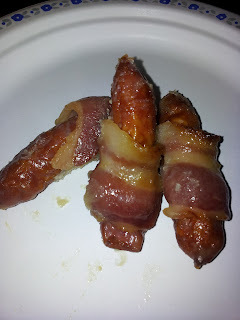 As I mentioned on Facebook last week, we tried this fun appetizer I found on Pinterest - Bacon Wrapped Smokies with Brown Sugar and Butter. I find Smokies to be more of an American item, they are not always available in our grocery stores, sometimes only around Christmas. I hit up a couple grocery stores and ended up finding Bandt brand tiny, ready to eat farmers sausages that worked perfect. 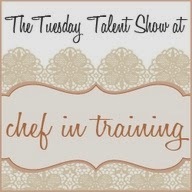 Found through Pinterest, I ended up on tastykitchen.com. As I mentioned, I didn't really find actual Smokies, but these were delish, and really, you could just use any cooked sausage cut up. Amazing! The sauce/glaze is absolutely delicious, I will be making this to glaze a ham as well. Everyone loved these, including the kids, and I think these would make fabulous appetizers for any holiday. I LOVE Mac & Cheese, especially homemade, this is my recipe and love to make it on a weekend. 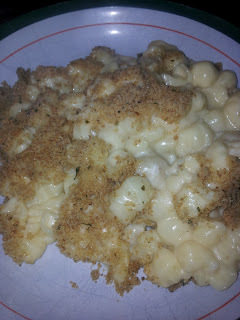 Make your own italian bread crumbs..
Cook the pasta until just done, drain and add to a buttered casserole dish. In a medium sauce pot melt the 1/2C butter, add flour and mix, let it bubble for a minute then slowly add the milk while stirring. 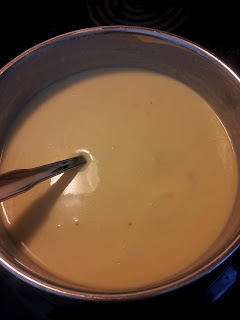 Once the milk has thickened add the mustard powder, fresh black pepper and slowly add the velveeta. When velveeta has completed melted pour over the pasta, mix well, top with shredded cheese. 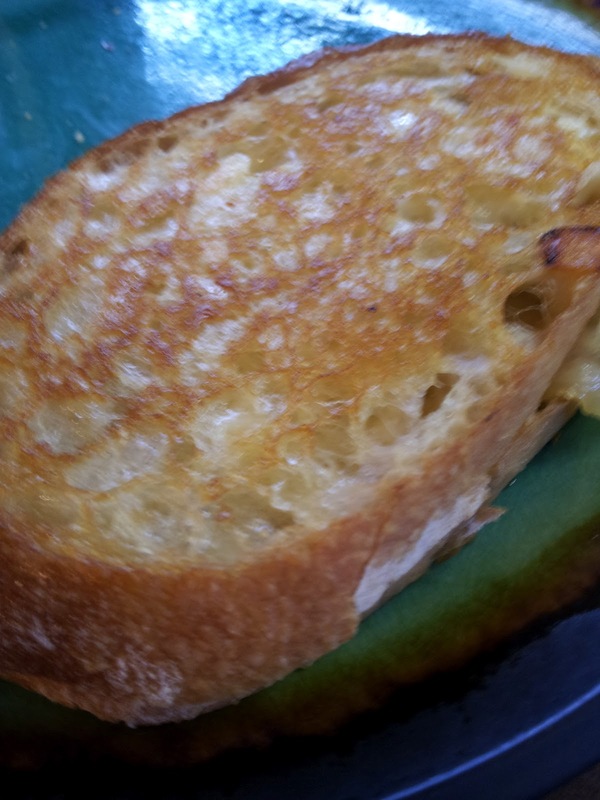 Melt the 2T butter in the microwave, stir in the bread crumbs, spread on top of the shredded cheese. 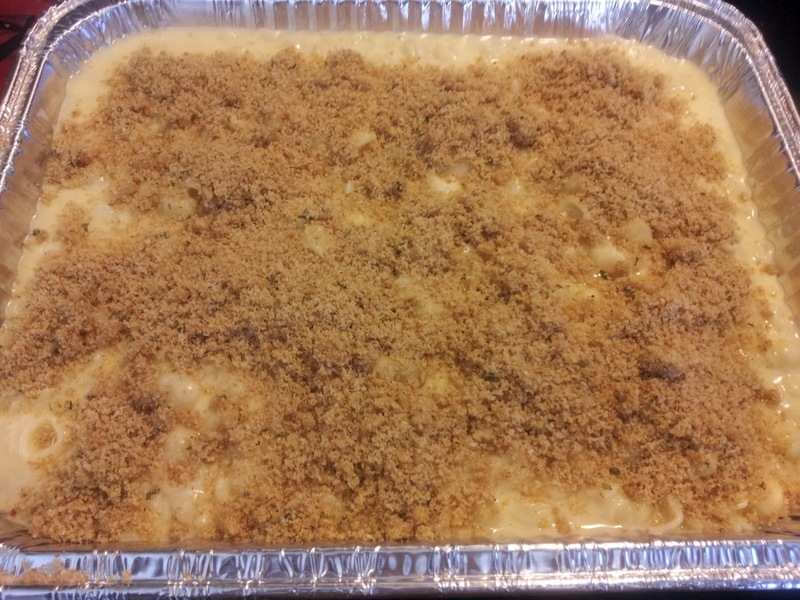 Bake at 350 for 15-20 minutes until the sides are bubbling. This is a family favourite, kids love it and so do adults. The mustard powder adds a really nice flavour that I think makes all the difference. Makes great leftovers too! We love muffins in our house. They make a handy and often healthy snack! For these muffins, I turned a traditional not so healthy recipe into a healthier one. I found the original recipe for French Breakfast Muffins at AllRecipes.com. Instead of all purpose flour, I used whole wheat flour. I don't love the taste of nutmeg so I used cinnamon. I didn't add any salt. Although making the changes that I did to this recipe made the muffins not turn out as light and fluffy, they were still yummy! As per usual when I make muffins, the kids nibbled these up in no time! 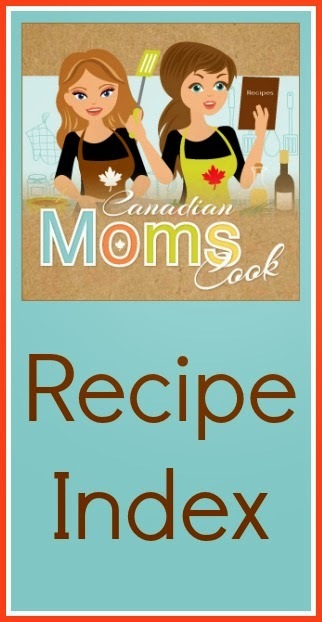 It's Olympic Time and what better way to celebrate with your children than to make a fun, healthy snack! Kia from Today I Ate a Rainbow is seriously one of my most favourite people! Why? Well, there are many reasons, but one of them is that she has helped me convince my son that eating fruits and veggies is fun! 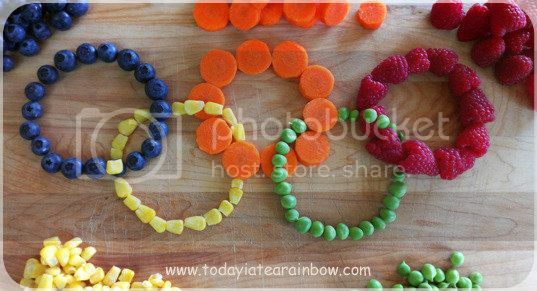 How much fun are those colourful and healthy Olympic Rings? If you have young children, I highly encourage you to check out Today I Ate a Rainbow. They have the most fun Rainbow Kits for kids to help them learn about healthy eating and to encourage them to make healthy choices. The Rainbow Kit has changed my son's life! Thank you so much, Kia! Thanks to Pinterest I found a yummy new way to make cookies - Bisquick cookies! 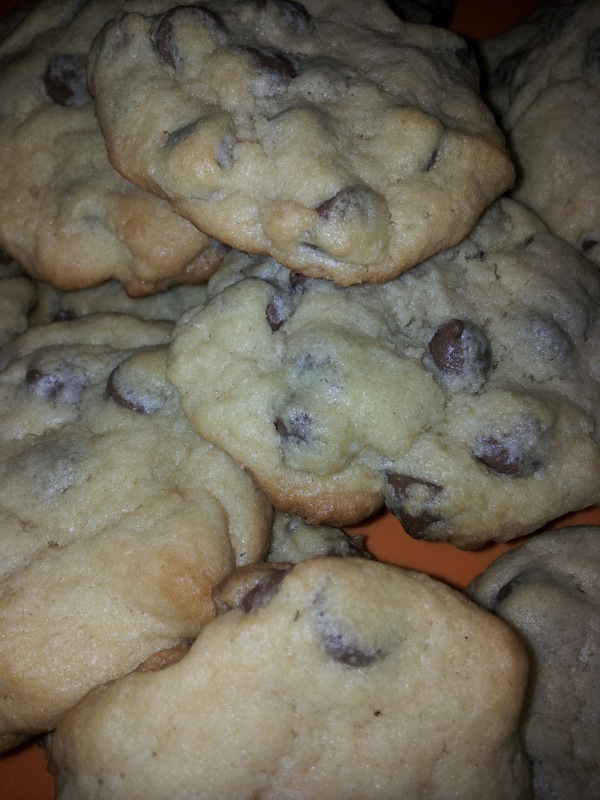 MUCH quicker than other cookie recipes, and tastes pretty darn good too! 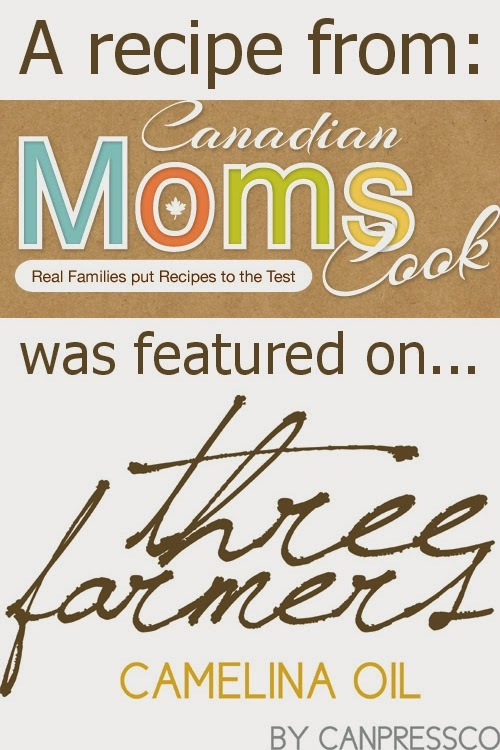 Found on PlainChicken.com, it was a cookbook find for her. We used a whole bag of chocolate chips in our cookies and we needed more like 12-13 minutes for ours to be cooked through. Delish! I do love my normal cookie recipe, but this is quick and easy, perfect for making after school cookies or for surprise company!